Enameled steel, outside white, inside black. Firmly sitting stainless steel lid. Bow-handle and lid knob made of Duroplast. Volume 2 l. Bottom Ø 16.5 cm, height 21.5 cm. Weight 1.1 kg. Enamel kettle from Austria. With signal tone. Produced by Riess in Ybbsitz – the whistling kettle in the old, established shape that looks more than a little like a hemisphere. The ideal relationship between a compact volume and large base is calculated so that in warming the water only a little heat is lost by radiation. In fact, when heated on a gas or an induction stove the whistling kettle uses less energy than an electric water boiler. When the water boils it announces the fact with a whistle which is audible at a good distance. 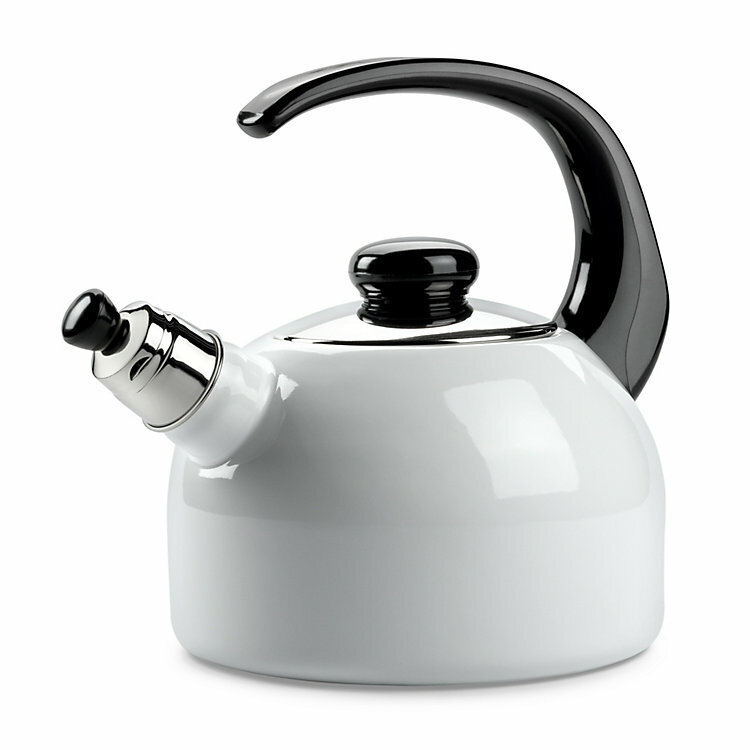 The kettle is enameled inside and out and the scratch proof and acid resistant surfaces are easy to clean. And it is easy to see on the black enamel inside when decalcification is in order. The whistling kettle is suitable for all stove types.